We bring forth high quality Tissue Paper that is known for soft and smooth texture. Our variety of Tissue Paper is manufactured from virgin wood pulp and is skin-friendly. Tissue Paper, offered by us, features soft texture and extremely absorbing. 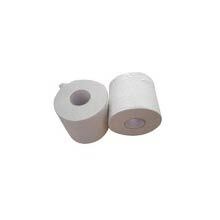 We make available Tissue Paper in rolls of different sizes and in two ply layer option.